A leading Airbus manager has warned that the German federal government would snub France for its aircraft procurement. Dirk Hoke, Chief Executive Officer of Airbus Defence and Space, has warned the German government against the purchase of Lockheed Martin's F-35 fighter aircraft. "As soon as Germany becomes an F-35 nation, cooperation on all combat aircraft issues with France will die," Hoke said in an interview with Welt Am Sonntag ahead of the ILA International Aerospace Exhibition which opens Wednesday in Berlin. For the first time, the US combat aircraft will be presented as a possible successor to the German Tornado strike fighter. At the same time, however, further details are expected to be released on the development of a completely new fighter aircraft, which for the first time France and Germany want to jointly develop. The project was announced almost a year ago by French President Emmanuel Macron and German Chancellor Angela Merkel (CDU). 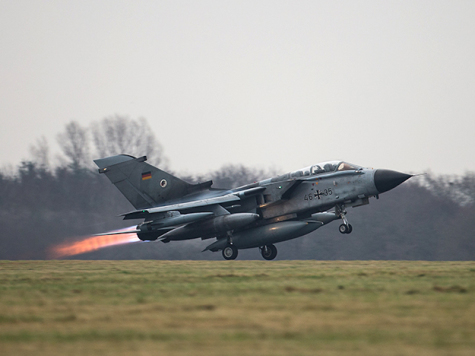 The future German-French fighter jet is to become a building block of an overall system called the Future Combat Air System comprising drones, missiles and reconnaissance satellites, and whose development costs are estimated at up to 80 billion euros. "Both sides are ready to compromise"
Airbus manager Hoke sees a historic opportunity in the competition with France on the fighter jet. "Europe needs to define its sovereignty more clearly, and to clearly state that we need to maintain independence in defense and space," he stressed. When it comes to exporting the fighter jets, Hoke hopes for common European standards, or at least for an agreement between the two countries not to block each other. That's the only way to be a reliable supplier. "Our business collapses when, for political reasons, we are perceived as an insecure partner," says Hoke. On the question of the leadership of the billions project, Hoke pragmatically states: "Both sides are ready to find compromises and to accelerate topics." The project in itself is definitely more important than the leadership. So far, the defense contractor Dassault is building the Rafale fighter jet in France, while Germany operates the Eurofighter, in whose construction and development Airbus is involved. Click here for the original German language version.